Since 1905, when Charles Sumner Ward first pioneered capital fundraising, our plan of campaign has provided direction and counsel for philanthropic campaigns throughout the United States. Our short term, resident-directed methods of Capital Campaign consulting continue to be the most successful way to raise the necessary funds to continue the mission of your organization. Among the earlier successes of Charles Sumner Ward was the first YMCA campaign of Washington, DC, in 1905. The first campaign for a hospital was conducted in 1911 in Salem, Ohio. In 1916, Ward directed an American Red Cross nationwide membership campaign increasing membership from 22,500 to 31,000,000. At the conclusion of the membership drive in 1917, the first Red Cross nationwide capital campaign raised $123,000,000. Then again, under Ward’s direction, in 1918, the second nationwide campaign for the Red Cross raised more than $181,000,000. The Venture in Mission Campaign, beginning in 1976 and lasting several years, raised $180,000,000 for the Episcopal Church of America. 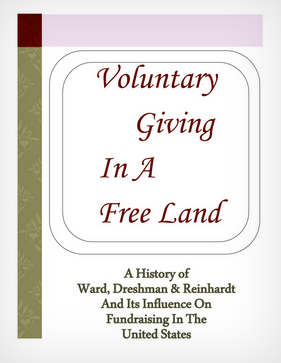 Today, Ward, Dreshman & Reinhardt concentrates its services to schools and other non-profit organizations. In its long history, this firm has directed nearly 8,000 capital campaigns raising over $3 billion. Ward, Dreshman & Reinhardt, Inc., an Illinois Corporation, is a wholly owned subsidiary of James D. Klote & Associates, headquartered in Falls Church, Virginia. The accumulated experience of our Campaign Directors, combined with innovations carefully field-tested and judiciously applied, brings unique perspective for today’s capital campaign efforts. We believe our unique blend of personal service and professional experience is the main reason why our firm has been in existence for the past century. Charles S. Ward was the originator and developer of the short-term, organized, intensive campaigns for philanthropic causes and institutions. He began his career at the turn of the century as the General Secretary of the YMCA in Grand Rapids, Michigan. Spending most of his time raising money just to keep the doors of the YMCA open, Ward approached the board of directors and requested they allow an organized campaign effort to pay for expenses over a long period of time. In exchange, he agreed not to request additional funding from them. The plan became so effective, YMCA organizations all around the United States began requesting Ward’s involvement in their funding plans. In 1905, Ward began the firm which still carries his name today. An early associate of Charles S. Ward, Chris Dreshman joined the firm in 1920 after serving the YMCA of Pittsburg as the downtown secretary. He ultimately became Chairman of the Board in 1929 and continued directing the firm until his death in 1955. He and eight other leaders of fundraising firms formed the American Association of Fund Raising Counsel to establish the professional and ethical standards required for fundraising. During his 35 year tenure with the firm, he personally directed 40 campaigns for educational institutions throughout the United States. Herman Reinhardt joined the firm in 1930 and served until his death in 1964. He was a noted leader and innovator for major fundraising causes for educational institutions, YMCA’s, the Red Cross and several major hospitals. He regarded each of his firm’s commitments as a personal one. He won the deep respect of business and community leaders throughout the country for his high ideals. During his tenure Ward, Dreshman & Reinhardt relocated from the Empire State Building, where the firm was a founding tenant, to the world famous Rockefeller Center. 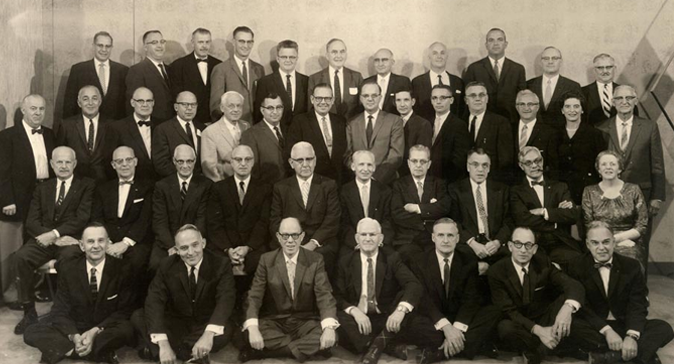 1919 Founding of Ward, Hill, Pierce and Wells, Inc.
1954 Ward, Dreshman & Reinhardt, Inc.
1999 Ward, Dreshman & Reinhardt, Inc. Board of Directors votes to establish James D. Klote & Associates, Inc.